Here are some fun videos that I’d like to share. Keep checking back as I’ll be updating this page regularly. Enjoy! A dramatic thriller where a a haunted teen endures a terrifying exorcism in the hopes of unlocking shocking secrets about the church and his family. Angie works hard to run her uncle's events business while her cousin Candace takes the credit. When Angie takes a night off to have fun at the Chriistmasquerade Ball, the mask and gown allow her to let loose, and she quickly catches the eye of Nicholas, a wealthy local bachelor. But then Angie has to go before revealing her identity, leaving Nicholas searching for his mystery woman in this modern take on the classisc fairytale. 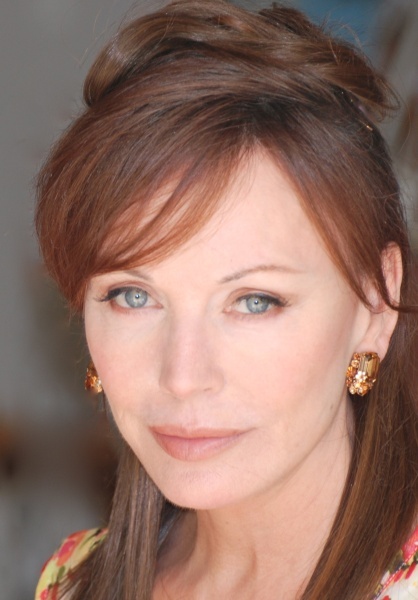 Lesley-Anne Down recalls her time of the set of Nomads in this new interview. Purchase Nomads on Blu-ray here. Kill Me, Deadly SOHO International Film Festival Trailer. Lesley-Anne Down reads from "Soul Mate"
Ronn Moss, Lesli Kay, Lesley-Anne Down and Joe Mascolo joined B&B producer Ron Weaver at Barnes & Noble to read excerpts from his new book, "Soul Mate" to a star studded audience. Here, Lesey-Anne gives backstory on one of the main characters. Scene from The Bold and the Beautiful with Jackie, Owen and Bridget. Clip from horror film Dark House staring Lesley-Anne Down and Luke Kleintank. Scene from Sunset Beach staring Lesley-Anne Down and Sam Behrens. Patrick Swayze & Lesley-Anne Down in TV adaptation of "North & South" (1985-86).